Hello there. I’m Nicole, and welcome to my blog. As an engineer, I often over analyze everything and want everything to be perfect before putting my work out into the world. However, I’ve come to realize that this fear of everything-not-being-perfect has left me in a cycle of never “starting” to pursue my interest in interior design. So, here I am, and I’ve decided that I’m just going to start. This week I’ve been pinning a lot of light & bright modern kitchens. 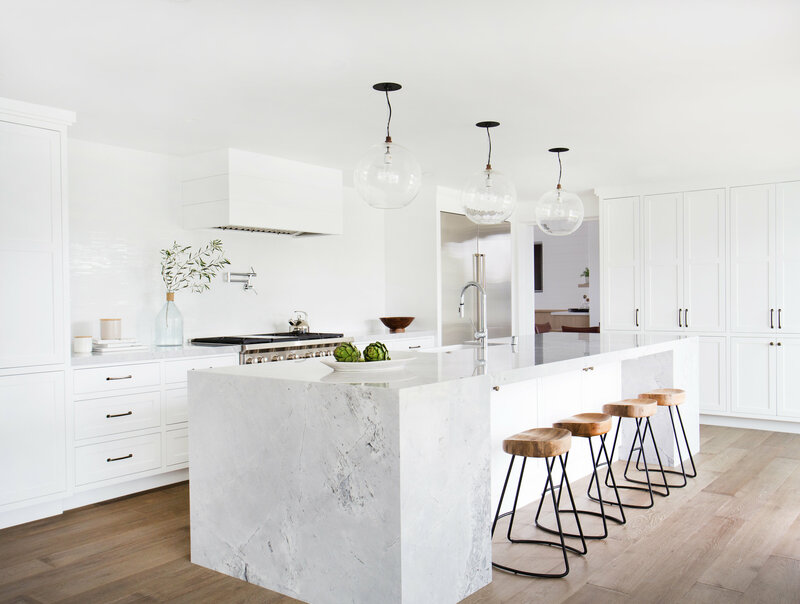 Here are 5 inspiring kitchens that caught my eye. I hope you enjoy! Follow along on Pinterest for more inspiring spaces!